New DLC pack joined by a free content update featuring fully playable female faction leaders. The harsh environments of Africa and Arabia’s deserts forged hardy warriors and cunning leaders who used the shifting sands to their advantage. 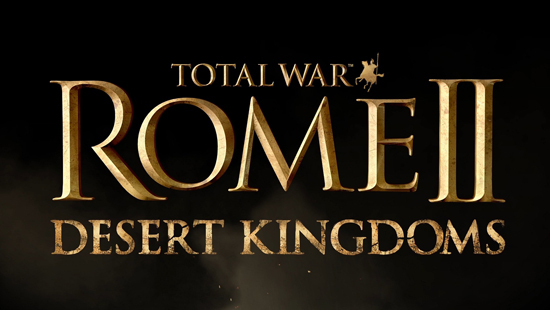 These are the factions of the Desert Kingdoms, coming to Total War: ROME II on 8th March. The Desert Kingdoms Culture Pack introduces four new playable factions: The Kingdoms of Kush, Saba and Nabatea of the African/Arabian subculture, and the Masaesyli of Numidia. Each faction boasts unique new rosters of differing military strength, new building chains, and new technology trees. As well as the Desert Kingdoms Culture Pack, a free update to the base Total War: ROME II game will provide players with new playable female leaders and generals such as Cleopatra and Teuta. As well as these leaders, important female characters have been added to all campaigns and factions.